Anaheim Party Bus Rental And Limo Rental For Retirement Celebrations offers quality limo service and we are special occasion experts! We have a complete office staff that consists of a whole team dedicated to earn customer satisfaction. We are available for serving you 24 hours a day and 365 days a year, no matter what the hour or day of the special occasion, we are here and ready to serve you. ​Travel in style to your retirement party event in one of our ultra luxurious limo buses that offer on board wet bar and will be completely stocked with all of your favorite drinks. Your guests can jam out to your favorite music all the way to the retirement party with our state of the art sound system that have the extras like bluetooth, Ipod, CD and DVD. You can trust and believe in us that this is the only way to roll in style to your retirement party! You may call now for special discounted pricing on your luxury limo rental. Anaheim Party Bus Rental offers late model limo buses, luxury stretch limos, luxurious sedans, party buses and passenger luxury limos, perfect for a memorable and safe evening at your retirement celebration. Inquire with one of our representations for complete details. We offer luxury limousine transportation services for special occasions in and around the Anaheim, Calironia area. We provide wait and return stretch or luxury limo services for a day or night in the city, for shopping, movie theater, sporting events, and of course retirement parties. Anaheim Party Bus Rental also offers a comprehensive variety of limo or party bus packages and services that have been designed to meet your needs and to give you the best comfort and value. We specialize in providing luxury limousine transportation services for proms, weddings, and corporate events, meetings conventions, banquets, and retirement occasions because our services are so flexible and can be personalized to any event you can think of. We have a large fleet of varied, late-model limousines that are complete with modern amenities and advanced GPS systems and climate controlled environments. 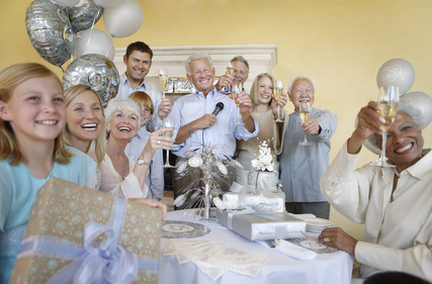 Request a free consultation to help you get started planning your retirement party now. We want your celebration to be a memorable event. Our drivers are licensed and certified as chauffeurs. We always place our clients safety first. Our drivers are completely knowledgeable about the area and the surrounding cities. CORPORATE TRAVEL - Anaheim Party Bus Rental or Limo Rental For Retirement Celebrationsoffers special corporate functions, meetings, events and airport travel arrangements for business executives.